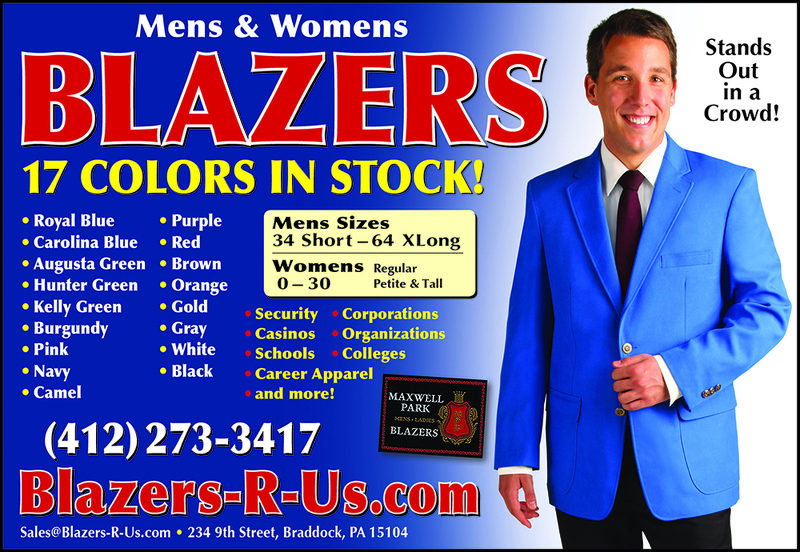 At Blazers R Us, we offer true wholesale to-the-trade pricing on men's and women's blazers as low as $59.00 each. Please note that in order not to damage the market place, all sales on this site are restricted to companies in the uniform business, resellers, embroidery industry and ASI / PPAI distributors. As much as we hate to turn away business, if you are an "end user" (the person or group who will ultimately be wearing the apparel), we cannot sell direct to you. Please visit your authorized embroiderer, PPAI or ASI distributor or uniform distributor, and direct them to this site. If you are a college bookstore, embroiderer, promotional destributor, or uniform store, then you have come to the right place! Blazers-R-Us is a clothing manufacturer and wholesale supplier. We price our blazers low enough that there is room for you to mark up and still be competitive -- this way you earn money both the embroidery and on the garments themselves. *Basic, Special and Designer colors are generally IN STOCK and can ship within 48 hours of order. For Custom colors, please allow +/- 6 weeks for delivery. 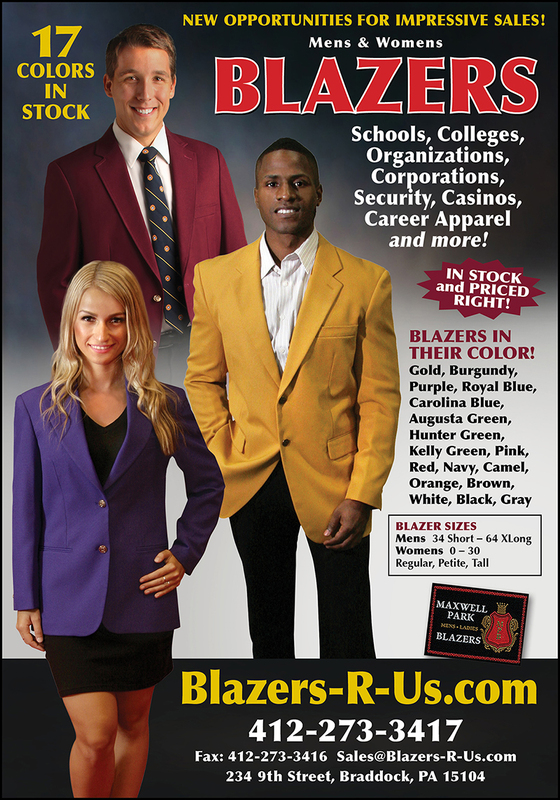 We also offer promotional material - posters - and brochures (in .pdf format) to help sell your blazers, that you can send to your customers and / or prospects at no charge. You can use "as is" or customize with your own name or special prices. For more information, visit the links on the side of the page, or click on any of the color swatches. To get back to this home page, click on the logo from the upper left corner of any page of this site. 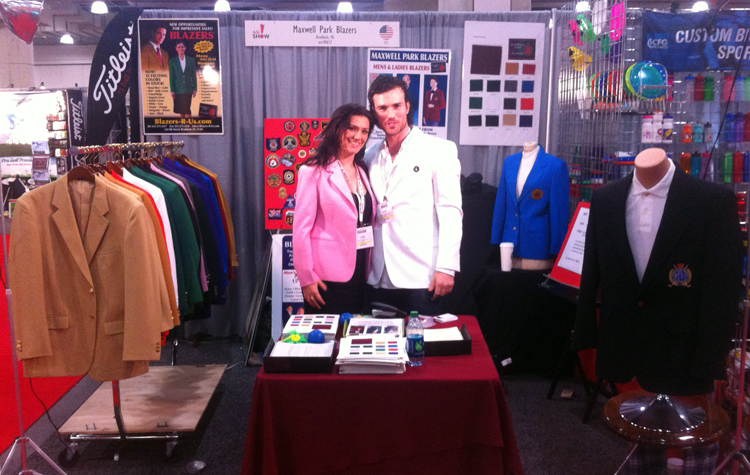 RECENT TRADE SHOWS (ASI, PPAI, UNIFORM RETAILERS, ETC.) ! !